The head of NASA’s Space Launch System (SLS) program has been selected to succeed Teresa Vanhooser as the deputy director of the space agency’s Marshall Space Flight Center located in Huntsville, Alabama. The announcement was made on Tuesday, Aug. 25, and noted that the change is being made as Vanhooser is retiring from NASA after a career with the agency that has spanned some 35 years. Vanhooser had served in the role of deputy director since being selected in November of 2012; May has been the head of SLS since August of 2011. May has guided SLS through many of the program’s milestones, including a critical design review, which took place last month (July 2015). May was appointed to this new role by the Center’s Director Patrick Scheuermann. 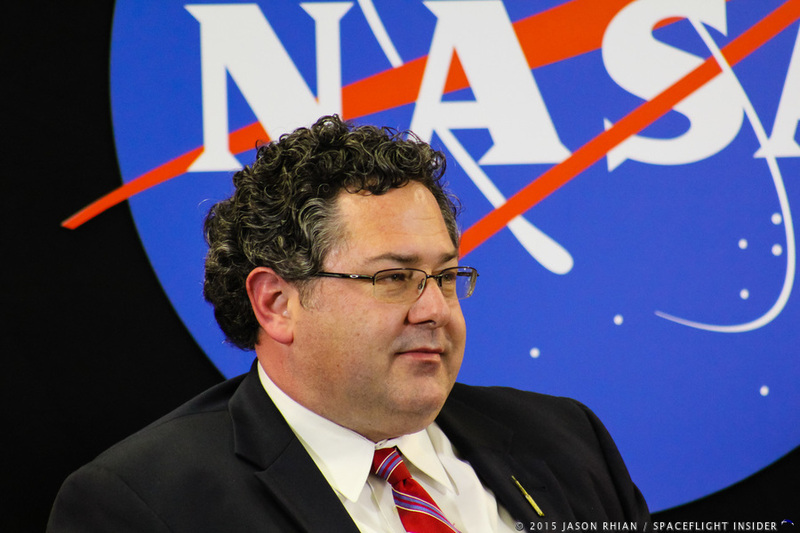 Given that the SLS program is managed out of MSFC and the fact that May managed the program for an extended period of time, his appointment to the position is a natural extension of his career to date. This recent promotion is just the latest step for May, who had started with the space agency in 1991 at MSFC. Working as an engineer at the Materials and Processes Laboratory, he was involved in an array of different roles with a focus on the agency’s space-related mission directorates. Three years after joining NASA in 1994, May moved to NASA’s Johnson Space Center located in Houston, Texas. While there, he served as the deputy manager of the Russian Integration Office for the International Space Station program. Four years later he found himself back at MSFC managing the integration, launch and deployment of the “Quest” airlock that was sent to the orbiting laboratory in July of 2001. May assumed a wide range of roles with the Discovery, New Frontiers, and other programs. His work on what, parts of, would become SLS, began in 2006 when he was selected to be the associate program manager for NASA’s Constellation Program. In his new role as MSFC’s deputy administrator, May will help oversee one of the U.S. space agency’s largest field installations. Almost 6,000 civil service and contractors are affiliated with the center. Marshall Space Flight Center has an annual budget of approximately $2.5 billion – roughly one-seventh NASA’s current annual budget. John Honeycutt, SLS’ deputy manager will serve as the program’s acting SLS Program Manager until the position can be filled.